I had a question on the First Cast: Galvan Brookie video on YouTube asking if the Brookie made an audible click when reeling in or paying out line. I recorded a brief video to answer the question and demonstrate. This is my second time writing this post, after I accidentally deleted it the first time! 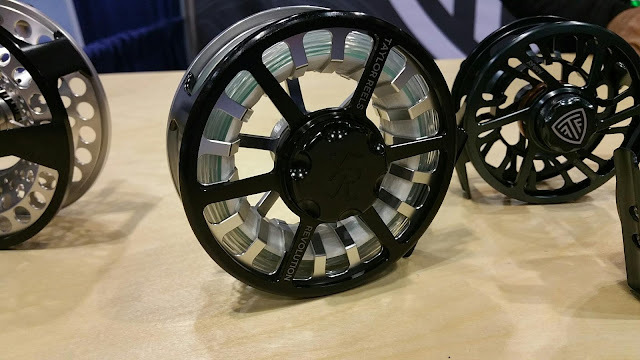 It's taken me a little while to get back to it, and I apologize for that, but here are some of the reels that stood out to me at the 2015 IFTD show this year. 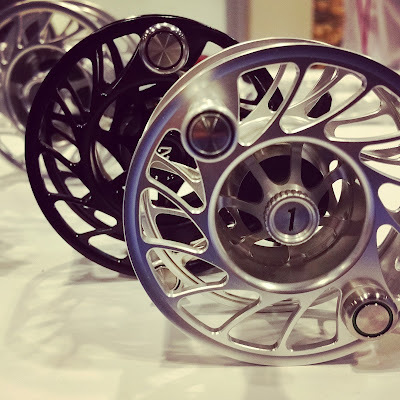 It's fun to look at reels in catalogs or on websites, but you just can't beat getting them in hand, spinning the spool a few times and listen to the beautiful clicking they make. There are a couple of companies that I enjoyed seeing their reels, but I either wasn't able to get pictures or just plain forgot. 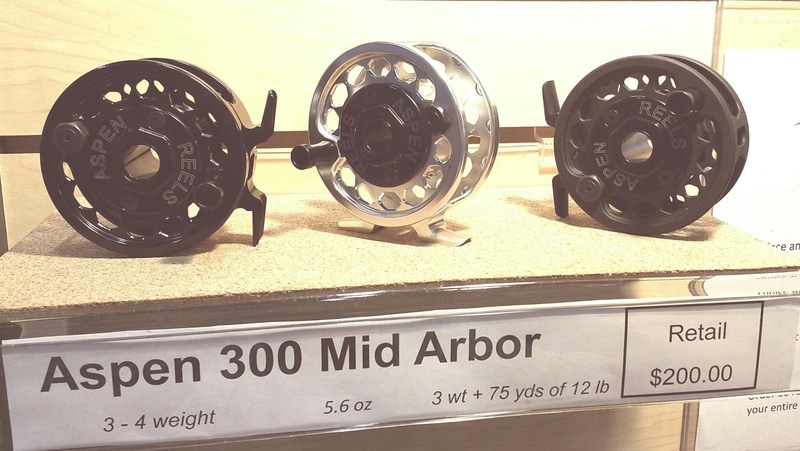 If you have a moment check out Tibor Reels and Douglas Outdoors for more reels that I would love the chance to use! I've got one more post I'll be doing on my favorites from IFTD 2015, that'll be the rods post so make sure you check back soon to see it and check out the other posts from the Favorites series to see more products from IFTD and ICAST 2015. 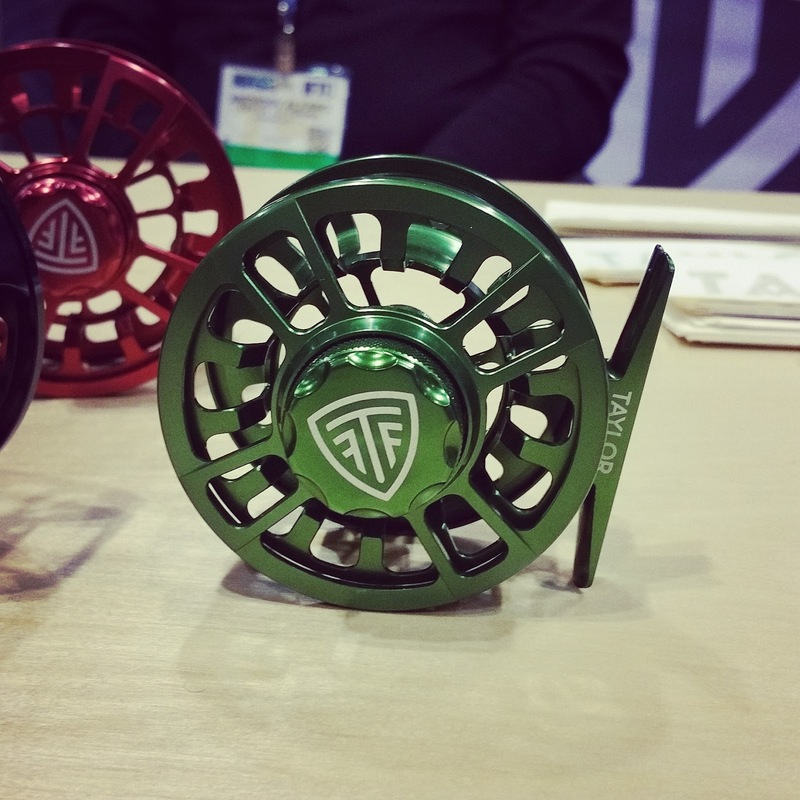 The Taylor Reels Type 1 is definitely an attention grabber in the green anodized finish. Available in 3 through 6 weights, it has a carbon drag system and a large arbor design for quick retrieval. 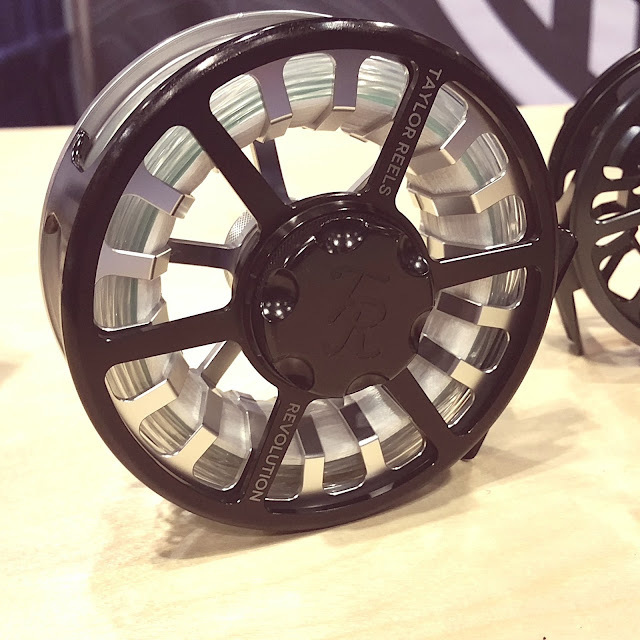 The new 4-12 weight Revolution from Taylor Reels features a water tight sealed drag, ultra large arbor and four beautiful anodized colors. I especially appreciate the large, easy to grip drag knob and affordable price for a big game reel. 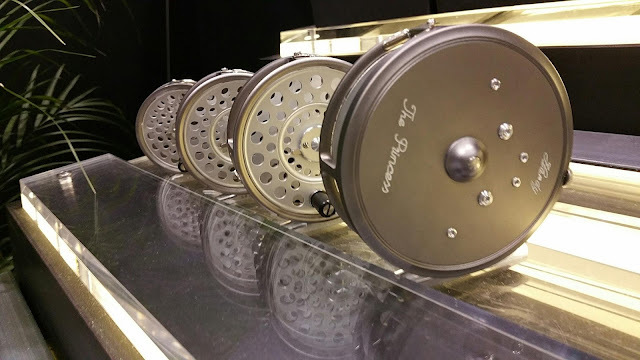 On the right you can see the Array, a 3-8 weight reel available in black, gray and matte silver that would be great for chasing skittish brookies. The Finatic series from Hatch runs from the 0-2 weight 1 Plus (shown here) through the 12-16 weight 12 Plus. The reels are available in multiple color anodizing options.The 1 Plus weighs in at only 2.8 ounces and features a mid-arbor design for quick line retrieval. The 2 Plus shares features with the 1 Plus, but features a large-arbor that will handle 2-4 weight lines. And, like all Hatch reels, made in the U.S.A. The soon to be released Grip reels will be available in 8-, 10- and 12-weight. 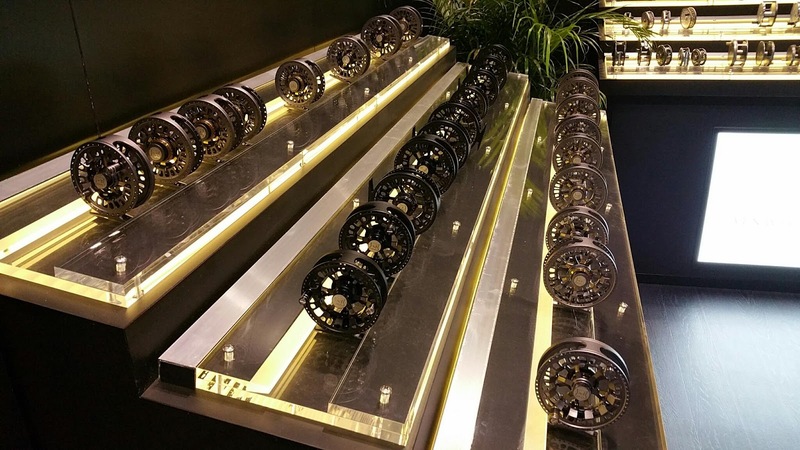 These beautiful reels are just screaming to be taken on a bonefish hunt in the Bahamas! Aspen Reels say that theirs are premium reels at reasonable prices. 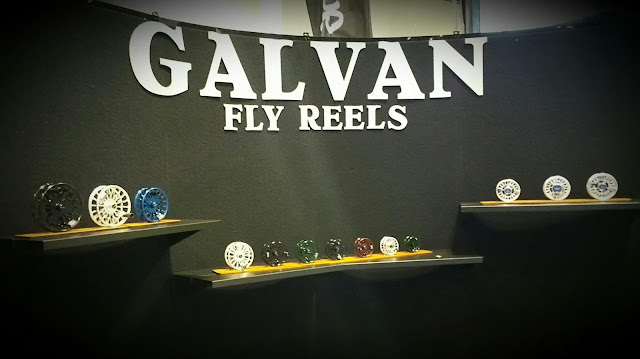 Made in a state of the art contract machine shop in California that decided to try making fly reels. Looks like they succeeded! 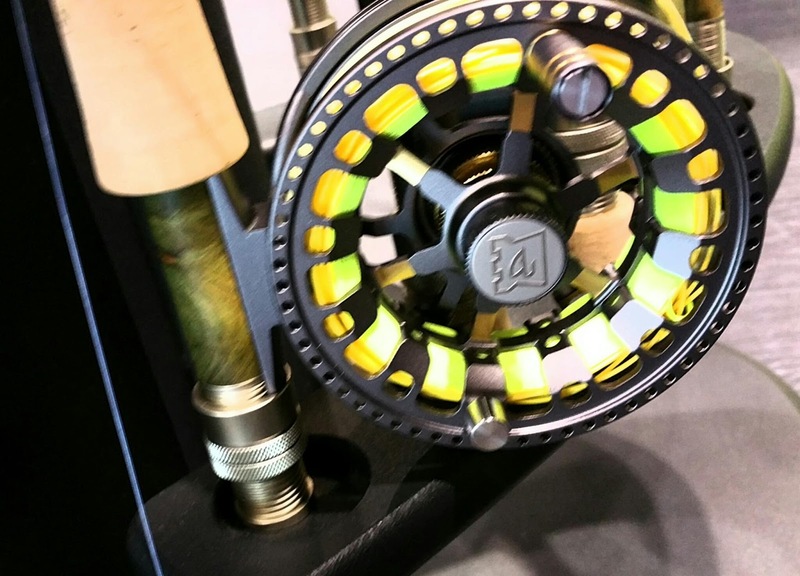 The tactical look of the matte finish would be great when a shiny reel could spook wary fish. 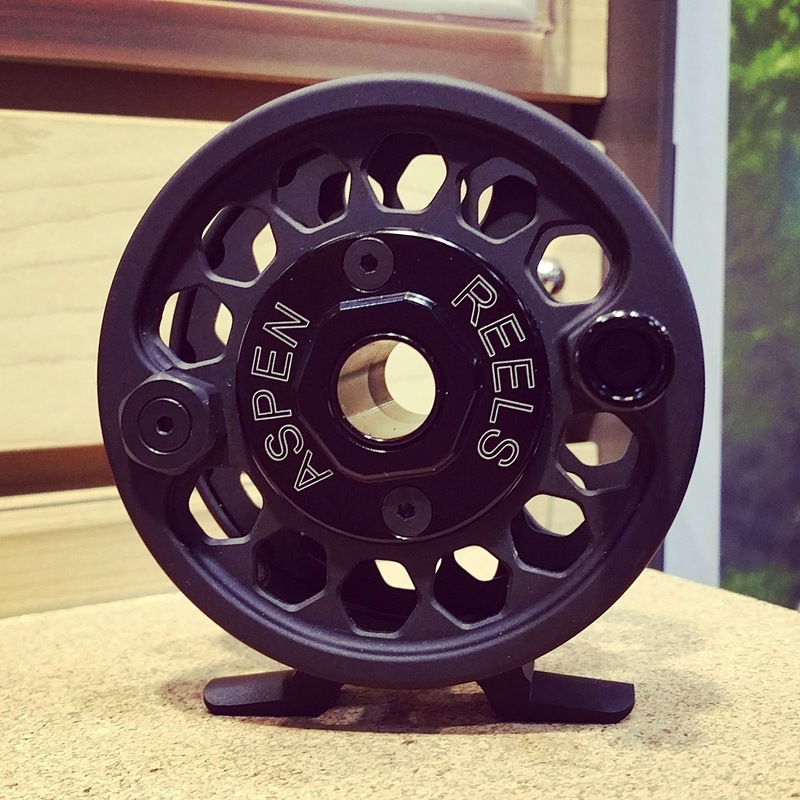 Aspen has reels in several models ranging from 3 through 12 weights and three different finishes. 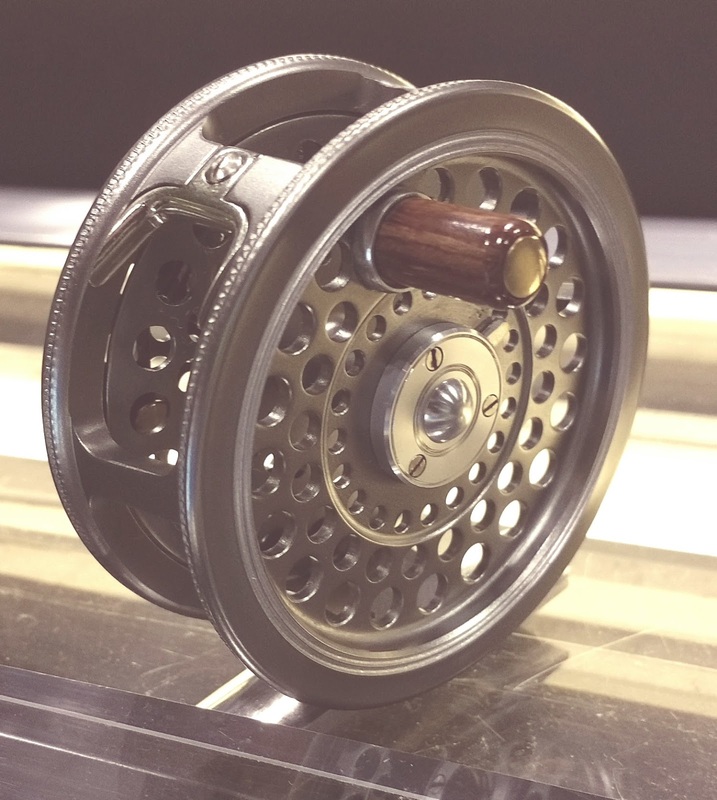 No tool spool removal, large drag knob and hollow main shaft (for heat dissipation) are just some of the well considered features that go into this great looking reel. 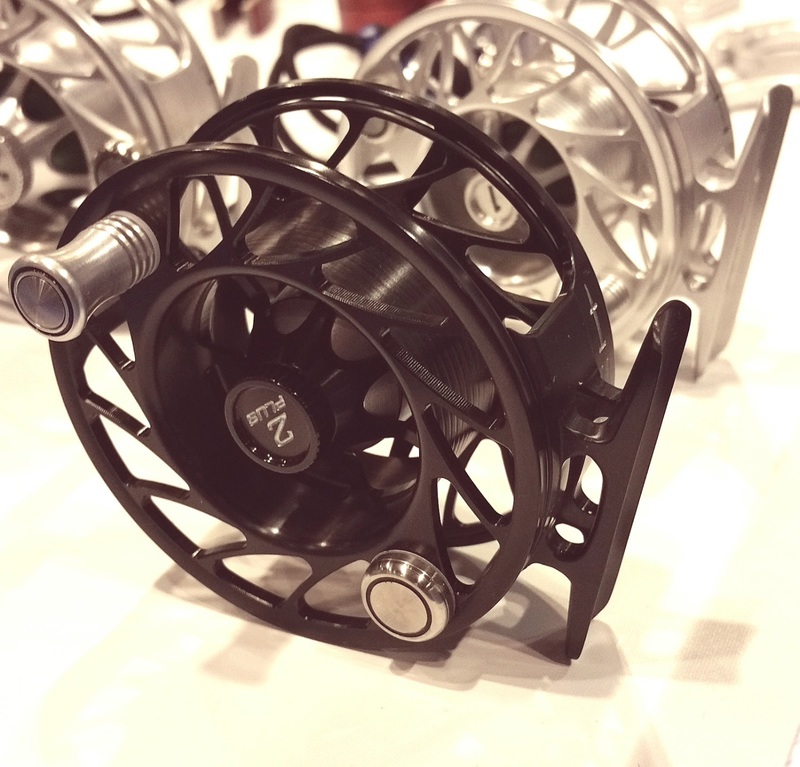 The hybrid die-cast and machined Tyro series reels are available from 2-8 weights. 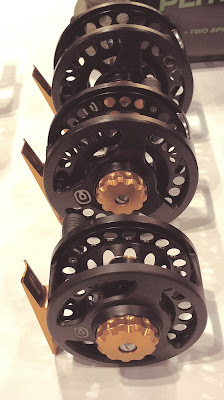 With the carbon drag system, quick change spool, silent retrieve and low price make these a fantastic entry level reel choice. 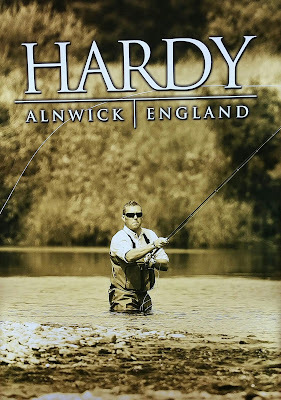 I was invited by the folks at Hardy to visit their booth and try casting one of their rods and reels on the casting pond. It was my first time using the equipment of one of the legends of fly fishing and I thoroughly enjoyed it! The 2 3/4" Duchess was the first new "classic reel" from Hardy in over a decade. An elegant looking, English made reel featuring a "Split Cage" frame design, twin line guides, hollow stainless steel spindle and a wooden handle. What fly fisher wouldn't love to have a table that looked like this somewhere in their house? The Hardy Lightweight Series of reels feature the 2-3 weight Flyweight, the 4-5 weight Featherweight, the 5-6 weight Lightweight and the 6-7 weight Princess. The Ultralite DD is the reel that I got to cast at the show. Available in 3-12 weights the Ultralite DD series feature 360 degree color coded drag, captive spool release and an ultra large arbor. 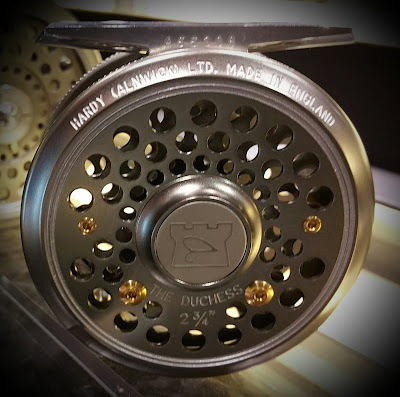 Another shot of the "Heritage Series" Duchess reel. Classic good looks.